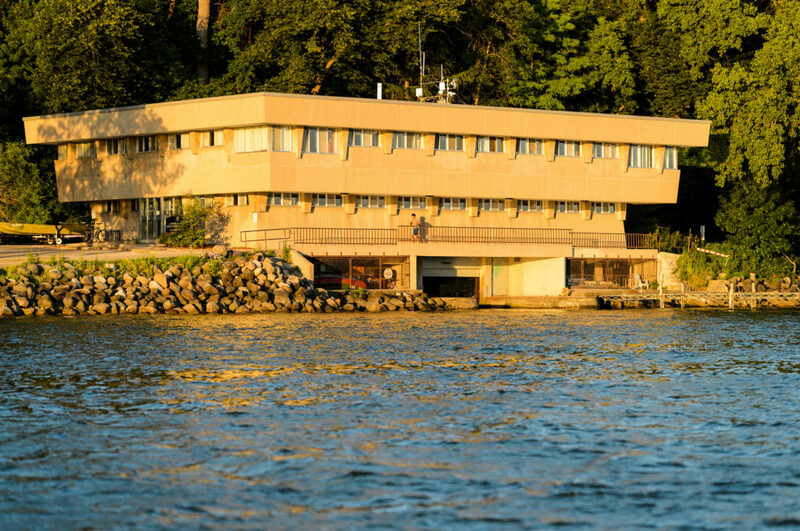 The Hasler Laboratory of Limnology is a working research station on the shores of Lake Mendota within the University of Wisconsin campus. Serving as a base of operations for the southern lakes research projects and the river ecology programs, it additionally serves as the administrative home for Center for Limnology. The UW Board of Regents officially named the building for Arthur D. Hasler in 2005, however, construction began on the building in 1958 and was finished in 1963. Cantilevered over Lake Mendota, the Hasler Lim Lab provides office and laboratory space for various projects at the Center. One defining feature of the building is the drive-in slip in the basement, providing direct access to Lake Mendota. The laboratory also serves as the “Eastern Gate” for the UW Lakeshore Nature Preserve, a campus natural area which was near and dear to Arthur Hasler. 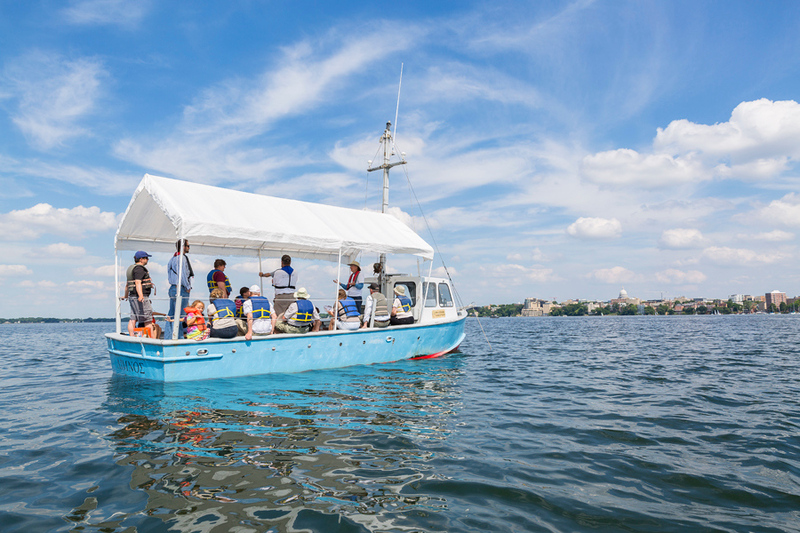 Hasler Lab is also home to the Limnos, a 1967-era, 28-foot research boat managed by the CFL. 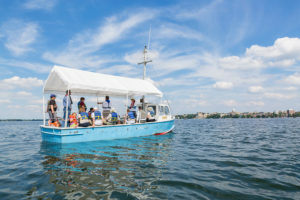 When the Limnos is not moored in Lake Mendota near Picnic point, it’s being used for classes, research, outreach and Hasler Lab Open House.